Worship is how we respond to what we care about the most. The invitation to worship God is the highest privilege of human beings―a privilege squandered by sinful rebellion, but gloriously restored to us through the death, resurrection and ascension of Jesus Christ. Biblical worship is a response to God’s revelation of himself, empowered by the Holy Spirit, which finds expression in every aspect of human life and experience. 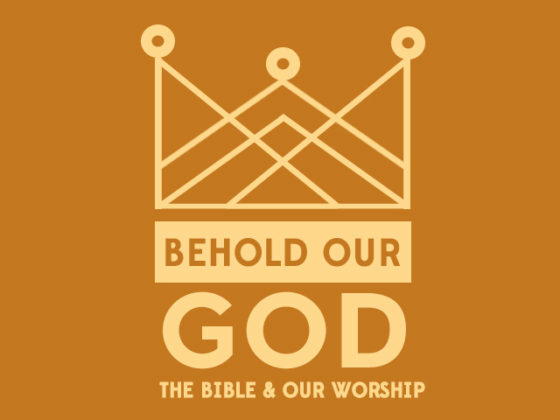 In this series we trace the central theme of worship throughout the entirety of the Bible – beholding the beauty and glory of God, growing in our love and devotion to the One who made us to worship! given on Oct 21, 2018.
given on Oct 14, 2018.
given on Oct 07, 2018.
given on Sep 30, 2018.
given on Sep 16, 2018.
given on Sep 09, 2018.
given on Sep 02, 2018.
given on Aug 26, 2018.
given on Aug 05, 2018.